Yesenia Perez and Tom Samek represented DePaul at the University of Maryland's Health Law Regulatory & Compliance Competition. The Mary and Michael Jaharis Health Law Institute sent two students to compete in the 4th Annual Health Law Regulatory & Compliance Competition at the University of Maryland Francis King Carey School of Law​​. The Competition was held on Saturday, February 21, 2015 with fourteen schools from around the country competing. The Health Law Regulatory & Compliance Competition requires teams of students to analyze a particular fact pattern using federal health regulations, rules, and agency documents, and to present a legal and policy solution to a panel of esteemed attorneys. Teams were given the fact pattern the day of the competition and given a little over an hour to review and compose their recommendation. 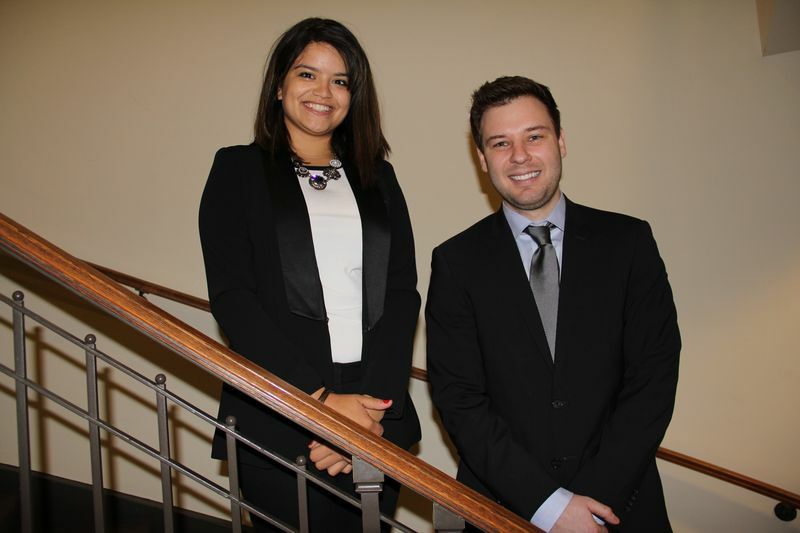 Third-year law students, Yesenia Perez and Tom Samek, represented DePaul University College of Law. Yesenia and Tom received extremely high praise for their contributions to the competition. DePaul looks forward to competing again next year!